Why It's Awesome: You're slowly building yourself an awesome car, just like so many cool movie characters have done before you. 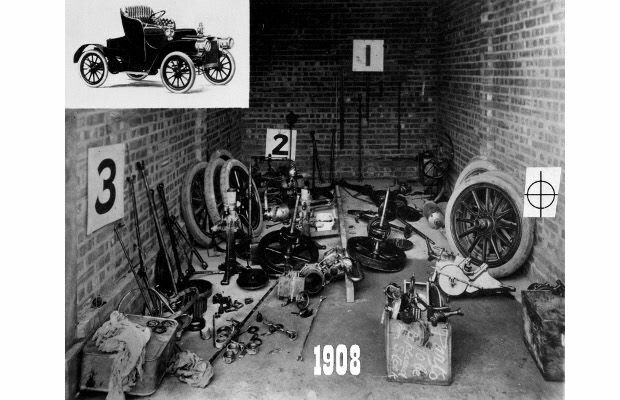 Why It's Stupid: You might possess the pictured garage full of circa 1908 Cadillac Model M bits, but there's no way in hell that you'll find the skill, time, or funds to turn that mess of scrap into a car. Face it, all that's in your workshop is seven wheels and a bunch of crap.